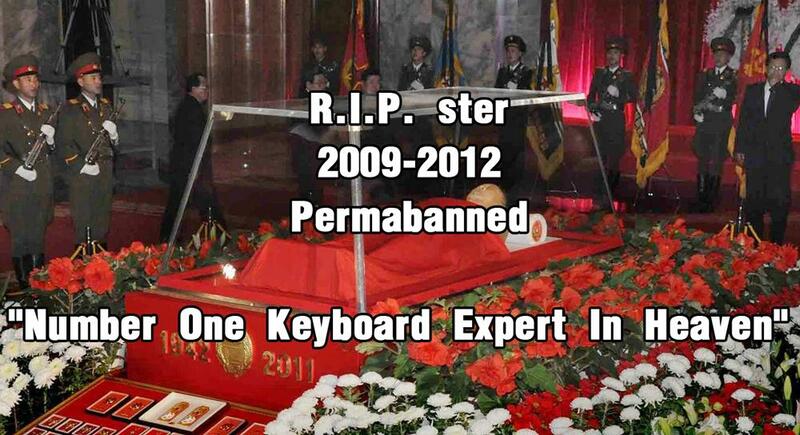 Not my picture, and only the keyboard. Is the SSK bolt modded ? Do you hear a rattle sound when you shake it ? If rivets are gone, some keys don't work. I have a new replacement for my CM Storm QFR Blues coming in on Monday and am thinking about selling it in order to try out the brown version instead. Any clue on how much they would go for here if it were new? You can get them for $64 shipped, new, from Amazon. How much are Filco Zero's with XM white or white alps switches cost when sold here used/new? Also, do they feel different enough (I heard the switches are quite heavier/stiffer) that warrants a purchase if I already own an old cherry blue keyboard? I'm deciding whether to sell my Filco Majestouch FKB104/EB US ASCII layout, it has a broken 'x' key. Most likely a solder issue. i want to know the value of it. Or whether if i should buy a soldering iron/solder wick and fix it myself and keep it alongside with my topre. The filco keyboard had less than 2 weeks use, no shine on any keys whatsoever. If it makes any difference, it's entirely blank default set of keycaps. Why not return it, 2 week should still be in it's warranty? Well i didnt want to make you guys read a story, but this was roughly Apr last year. I bought it from a taiwanese website (armygroup) (s) key broke in a week, sent it back for $45 AUD shipping, came back few weeks later after 3 days (x) broke. was pissed off / poor. didnt want to claim on warranty again since i didnt have the money at the time, so it has been sitting in its box for a while now. Suddenly thought i should do something with it rather than just let it lie around. How much for a Filco Majestouch 104 with browns? Since I bought it EK no longer carries Filcos so I am not sure what they are going for. Plus, not a lot of people selling full size keyboards these days. Just thinking of finally going with TKL. How much for the CH Products nearly brand new (only because I just barely opened the box) serial connection optical trackball. Not sure how much the NCR G80-0931 in the pic worth. Made in west Germany in 1987.
w/ DS keycaps and red LEDs. Nearly brand new, but the original box and manuals were lost. If you bought it off EK, it must be roughly a 2 year old keyboard and Majestouch 1, right? Depending on condition, it's probably worth anywhere from $70-100. Not sure how much the NCR G80-0391 in the pic worth. Whatever it's worth, that is really nice. Is that capslock center stemmed? I've seen this board sell on ebay for around $50, and more recently on GH for $60. Seems too high, there are blue alps boards with better layout for less. I'm debating whether or not I should sell my TG3-BL82. 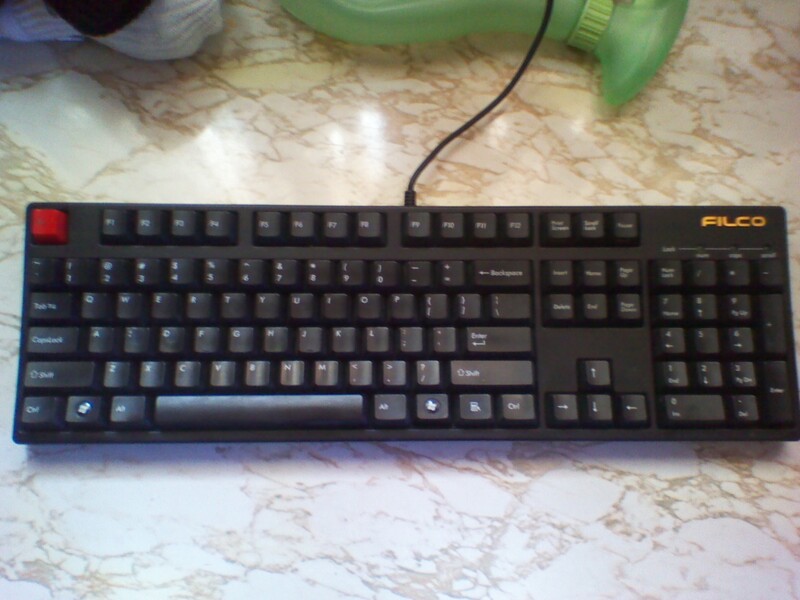 I rarely use it anymore since it has MX Blacks and I have been typing on my Ducky (which has Blues). So what would you say it's worth? Pics below. I know there was a lot of these out there so I'm not expecting it to be worth all too much. If I feel it's not worth selling I am going to have MagicMeatball swap out the Black switches for Clears and I'll use this as one of my main boards again. ^Should be worth anywhere from $35-45 depending on condition. There was an abundant amount of these available for $50 NIB (still might be available) from an online retailer maybe 4-5 months ago. Yeah, I bought it used off of turbocharged for $75 shipped over a year and a half ago, back before that online retailer started selling so many of them. I think I'll probably just keep it and I'll have MagicMeatball swap out the switches for me. 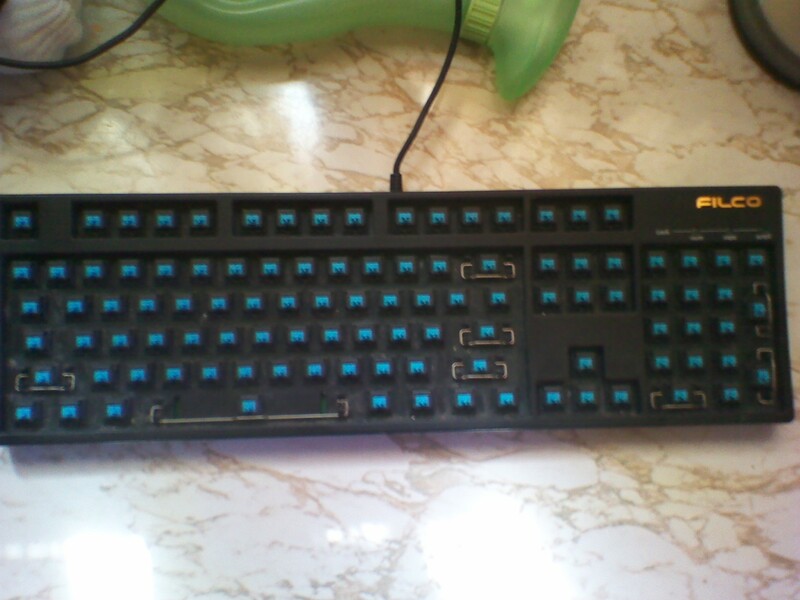 After all, this was the first keyboard I ever bought that had Cherry MX switches. Price checking a Kinesis Advantage USB. Minor wear, but in good condition. Some letters have worn from usage, but still completely functional. Has Cherry Browns. Does not come with pedals or other accessories. Windows layout. "It's not the years, honey it's the mileage." I'd say around 150 for the Kinesis. I got it from Army Group shortly after EK got their last shipment of Filcos I believe. It is a Majestouch 1 and about 1.6 years old. Still no key shine though since my hands are very nice to technology and plastic. How much for a Filco Majestouch 104-key "Otaku" NKRO (cherry mx blues) in mint condition? the pictures dont look mint but probably like 130 if its really "mint"
side note: how much would the lettered ones be. No way to tell. When it comes to caps everybody wants exactly the color they want and so on. Put them up for sell and find out if somebody happens to want yours. Selling it already? Just the SSK....$170-185 shipped. I don't think they're worth that much anymore. But then again you need to find only one person to think otherwise. No, I was just wondering because someone here said they were getting 6 SSK for $70 each. But they were in the land down under, does that make a difference? Are they not as rare there? I have a Cherry G80-3494LYC, which is basically a G80-3000 but with red switches. The keycaps are not doubleshot. 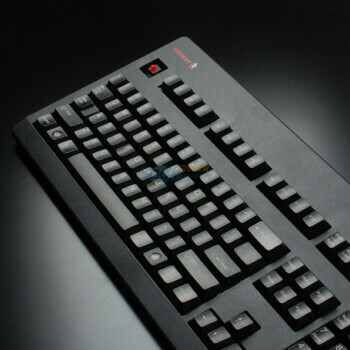 It comes in a regular G80-3000 box, but the actual keyboard has the cherry logo in red rather than in white like the keyboard pictured on the box does. Looking back into some really old geekhack reviews, apparently this use to be worth $140 before red switches became common (like 2 years ago or so). Guess it wouldn't have too much value now though. My 3494 cost me $187 shipped a long time ago. But you can get a brand new one for £103.77 shipped to the US/Canada from keyboardco right now. Just curious, I'm thinking about selling my Filco 87 keyboard /w Cherry brown's. I've owned the board for about 2 years and served as my primary keyboard. What's it worth a Dolch moogle kit with full mod? did you get it from the GB? if so... whatever you paid in the group buy. probably $30 tops... but its an auction so fugeddaboutit. forget about it probably gonna go higher than $30 but if you want it that's the way to get it. Auction = people will pay much higher than it's market value, just because it's an auction. I have some Double shot cherry keycaps. How much are can I get for them? Details help. A picture of the set fully laid out, or the board they came off of might be useful. BTC doubleshots? Good condition from what can be seen, I say $25. 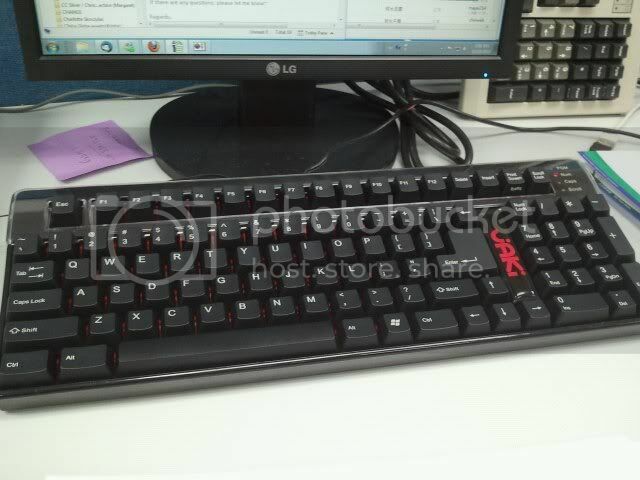 They are off of this Maxi Switch keyboard I inquired about in a different post. Oh, well whatever they were from I still say $25 for max price. Thanks Lysol...now I'm just looking for a buyer. Hey guys could you help me out please? I'm wondering what a *used* filco majestouch 104 key with blue switches is worth? It's been used moderately and the keycaps do show some shine and a bit of lettering missing on keys that are used a lot. Also, as you can see from my "under the hood" picture below, it hasn't been cleaned very well (i know i know, it's terrible, don't kill me for that xD) Thanks in advance!